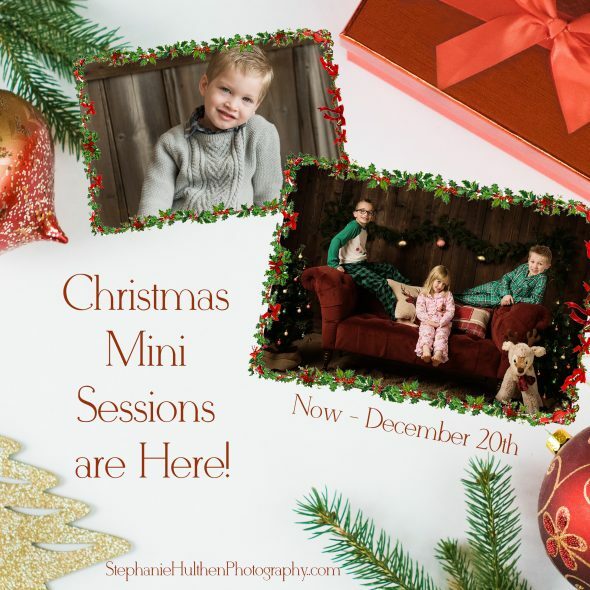 I am so excited to be offering mini sessions this Holiday Season! Bring your family in their jammies or holiday clothes! All of the sessions will take place in my beautiful studio. Discounted Collections and products sold separately (prints starting at $40, discounted collections starting at $390). Lots of sweet mini items available: canvas ornaments, mini books, wallet accordion books, etc…great for gifts! Option of ordering right after your session or make an appointment to come back to the studio before Christmas.